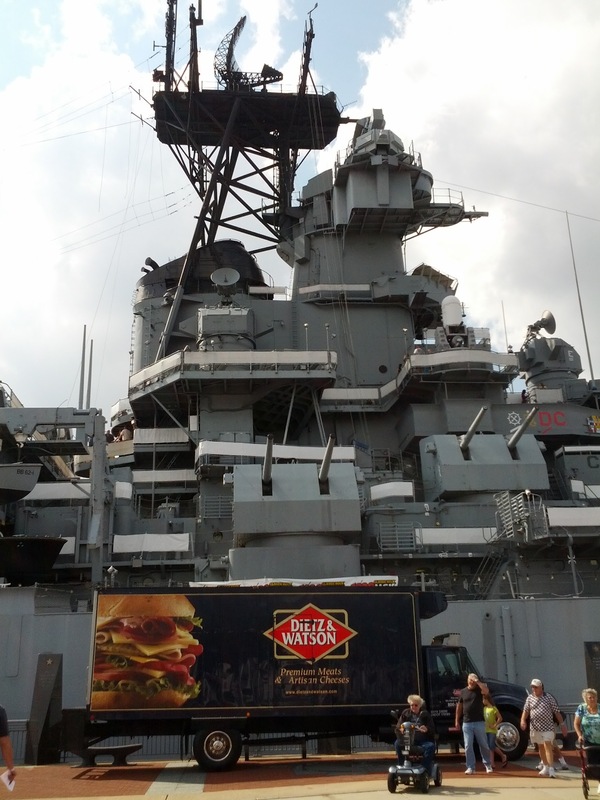 This past weekend, MGK held their second annual Brew Blast on the USS New Jersey. Thanks to tickets from New Jersey Craft Beer, Dayna (the Das in Das Ale Haus) and I were able to head to the battleship and try out some new beers. It was an absolutely beautiful day to do some day drinking, and we took advantage of it. For pictures and reviews, just skip to the end of the post. This was my second beer fest, the first being this year’s Atlantic City Beer and Music Festival. This was a much more toned down affair, just one tent on the deck of the battleship. There was a pretty decent classic rock cover bank, The Sofa Kings, playing through out the day, and they seemed to have a solid following there. This event wasn’t as packed as the one in AC, and there was no wait at any of the vendors. That was a nice change of pace from the first beer fest, where we had about a 10 minute line at each place through most of the event. There were enough breweries there that you wouldn’t run out of beer, but not so many that it was overwhelming. I was able to talk to a few of the reps (Firestone Walker is expanding their NJ distribution!) without holding up the line, which was great. I can’t give a review on every beer I tried there, since I didn’t have enough of a sample to get a good feel on them, but what I did do was track my first impressions on Untappd and blow up my Twitter feed. Next time you get the chance to get to a beer fest, take it. There’s no better way to try a lot of different styles in one night. Firestone Walker – Double Jack: “Very smooth with good hop flavors.” As you can see these are very detailed reviews I was putting up. Nothing to it. At all.” I remember this one as one of the worst I’ve every checked into. Definitely the worst of the day. Flying Fish – Exit 4 American Trippel: Had this one before, no notes this time. Troegs – DreamWeaver Wheat: “A solid wheat.” This beer is one of the first I had when I started getting into craft beer a few years ago. River Horse – Brewers Reserve: “Awesome IPA. I think IPA. Yea.” This beer wasn’t exactly marked, and Untappd had a lot of different styles of Brewers Reserve. But at the time, this tasted like a great IPA. Brooklyn Brewery – Sorachi Ace: “Very unique grassy, lemony finish.” The guy from Brooklyn was very excited about this beer, and I can’t blame him. It used the Sorachi Ace hop, and the flavor is really hard to describe without having another one. Lemon was very prominent, almost like a shandy, without using the lemonade. Newcastle – Werewolf: New beer from Newcastle. It was meh. Not good, not terrible. Meh. Long Trail – Harvest: “Drinking beer like this makes me want the cold to set in quickly.” I can’t wait to snowboard, and this beer tastes like fall in Vermont. Saranac – Saranac White IPA: “Lysol. Good lysol.” I guess this beer tasted like a drinkable cleanser. Harpoon – UFO Pumpkin: “One of the better pumpkins, surprisingly.” That says it all. Victory Brewing – Headwaters Pale Ale – “Damn close to an IPA.” One of the hoppier pale ales I’ve had. Weyerbacher – Last Chance IPA – “Finishing up on a strong note.” This beer has become one of my favorites of late. Gotta get me some of that Long Trail Harvest, bring on the snow! 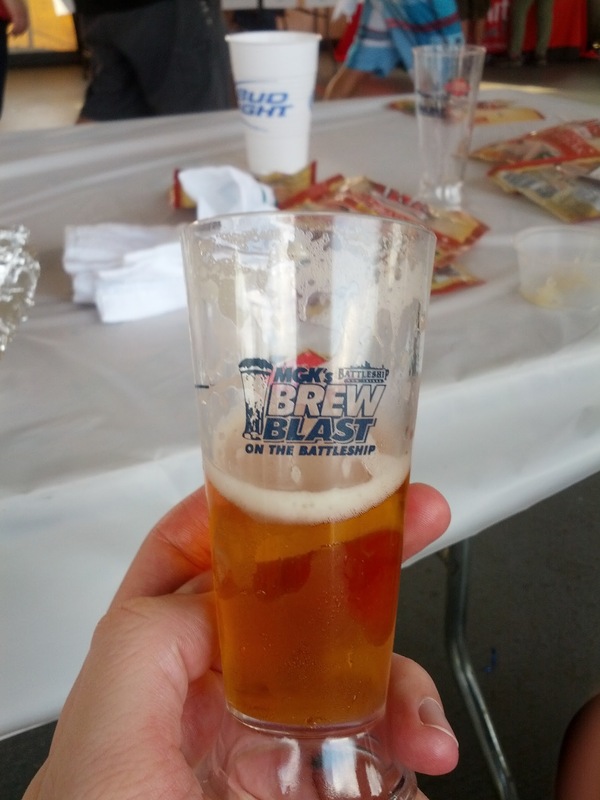 This entry was posted on September 27, 2012 by dasalehaus in Brew News, Brew Review and tagged 2012, beer, beer fest, beer review, brew blast, brew review, mgk.